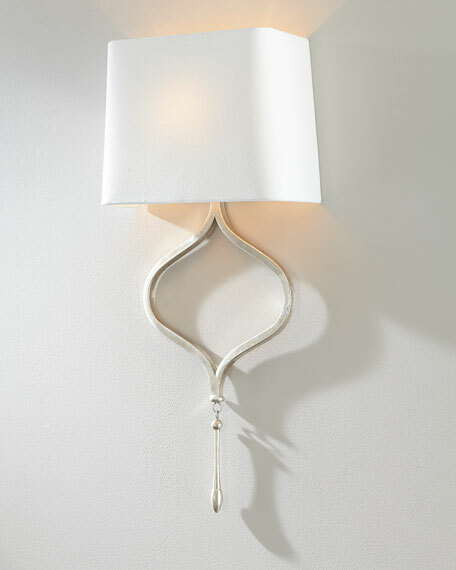 Beautiful, classic style, gold leafed wall sconce. 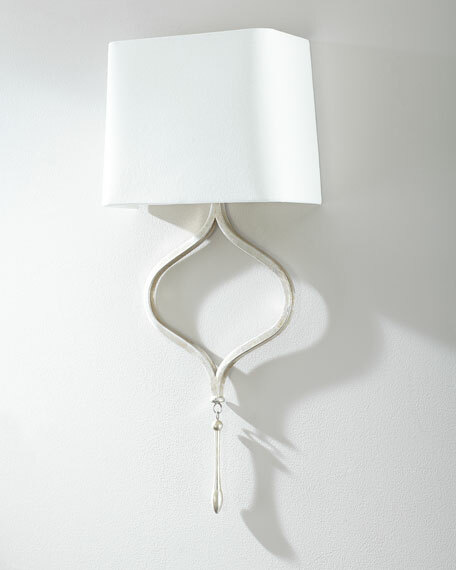 Steel sconce in gold leaf finish accented with a gold leaf dangle. Satin finish, natural linen shade. Overall, 12.3"W x 4"D x 26"T.
Begun in 1997 at a charity fundraiser, Regina Andrew Design has grown into a celebrated, diverse line of home fashion products. Passion is at the core of everything that defines Regina Andrew design, including a passion for their origins -- Detroit. They continue to invest in The Motor City, a special place that, like Regina Andrew Design, is defined by "hands on" hard work, deep roots in rock and roll, unwavering loyalty, and determined optimism.